How are we to understand this amazing statement? Just like our souls are multi-layered, so too the holy Torah can be understood or connected to on many levels. To quote another Maharal, the Torah only affords a person holiness if he believes that it reveals the will of Hashem. If not, it does no more for him than learning about mundane matters. Of course if one even wants to come to this level, he accesses mitoch shelo l'shma ba l'shmah and he will eventually get there. But if not his Torah will be lifeless (of course if he does teshuva he can always revive it, since the potential connection to Hashem through what he has learned is there, but only if he believes in it ). But lets say a person does believe the Torah is the Will of Hashem. 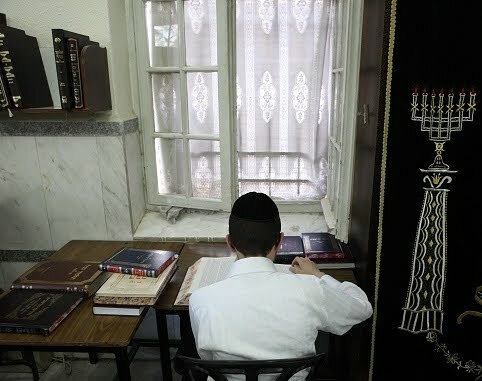 After he has learned something, how is he to access the deeper meaning of the Torah? How can he understand it better and internalize more of its message? Perhaps the best answer to this question can be summarized in one word: review. The Talmud tells us that it is easier to learn new material than to review what is already familiar. But of course, without review one cannot possibly master Torah. Rebbe Nachman is telling us here that one who arouses love of Hashem and Torah his fiery neshamah and reviews what he has learned is given wondrous insight and understanding as a result of this. Now Rebbe Nachman -and Rav Shach - advocated learning through a mesechta (or more) and then coming back to it with a fresh eye. Others held differently. The Steipler explained that one should force himself to review since this is a bigger atonement for sin than any self-mortification. However we review we must never lose sight of the immense depth of Torah and our desire to understand it. We must review with as much enthusiasm as we can muster, with great joy and yearning. Let us repent when we learn as we recall the words of Rebbe Nachman, "The Torah is Hashem Himself calling us back to Him."